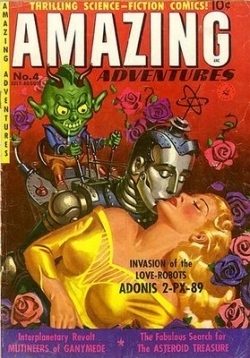 Believe it or not, there are actually robots (and androids) in science fiction films and television shows that are marriage/partner material. Whether lead characters or sidekicks, a few of these mechanical wonders have demonstrated abilities that go beyond lightening-fast calculations and superhuman strength. Certain traits and the way they interact with humans indicate an aptitude for intimate, long-term relationships (and as we all know, the very nature of their construction ensures they’ll be around for a very long time). Robots and androids are quite intelligent, you know. That factor alone makes some of these bachelors a real catch. But that’s not all. Energy-wise, they’re practically limitless. I mean, you might never leave the bedroom. Others are large-and-in-charge, with the potential to take care of a partner’s every need, from changing the oil in your car, running errands when you’re sick, to protecting you against muggers (and also alien invaders!). 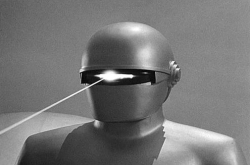 Therefore, I thought it important to point out a few robot and android bachelors that are waiting for the right woman/android/partner to come along. 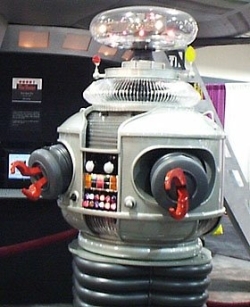 Specifically, a very special someone who can appreciate all that these mechanical beings can do and be. 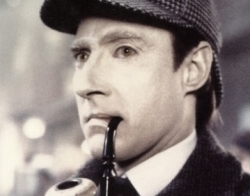 1) Data – What’s not to love about Data? Poems about his cat, long discussions about the creation of far-flung nebulae, Sinatra-style crooning…the list goes on. You might want to steer clear of meeting his “brother” Lore, but other than that, a night out with him would be smooth sailing. 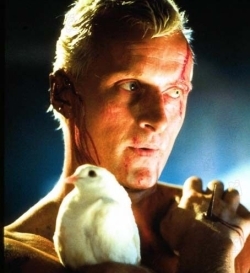 2) Roy Batty – He’s seen things you people wouldn't believe. Attack ships on fire off the shoulder of Orion. C-beams glitter in the dark near the Tannhauser Gate. The one decent episode of FULL HOUSE, which was never broadcast. You could catch up on these things—along with his take on the recently announced Ridley Scott prequel. Act fast or before all of those moments are lost in time, like tears in rain. Hmmm. Nope, Robot it is. 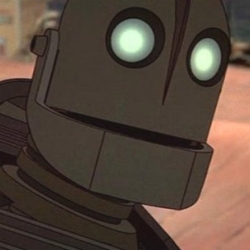 4) The Iron Giant – Tetsujin 28 (aka Gigantor) or the Iron Giant? 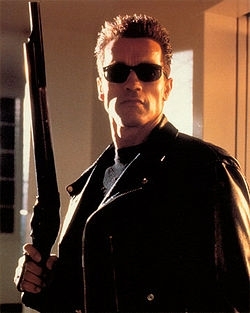 Let’s go with Mr. Big G. First off, he’s not a gun. He’s a peace lover. He’s good with kids. He likes Superman. Okay, so he’s not the richest metal guy around (his film didn’t exactly set the box office on fire), but he’s got a lot of heart. 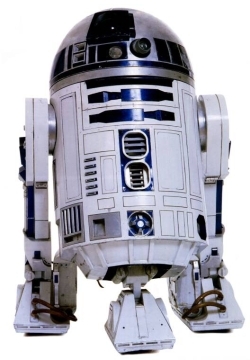 5) R2-D2 – When it comes to droids, they aren’t much nicer or cleverer than R2. R5-D4 units are entirely unreliable. You can't trust them with important tasks like pouring wine and harvesting moisture in a desert environment. And C-3P0? Entirely too annoying. The odds of you going out without strangling him before the night is through are approximately 5,396 to 1. R2 can play chess, carry your light saber for emergency needs, and cozy up by showing some pretty risqué holograms! Say…! 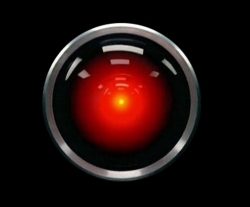 7) HAL 9000 – Enjoys great conversations. Sings. Doesn’t seem to let anything upset him (just don’t mention the pod bay doors—trust me). As an extra bonus, he can always keep your fries warm if you should have a hankering for some fast food while zipping around the Jovian moons. It’s cold out there! 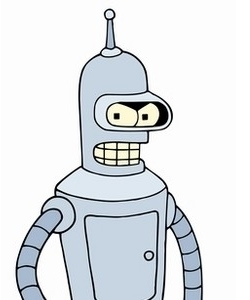 8) Bender – So he’s a bit of a lush. And maybe misogynistic. And a tad self-absorbed. Hey, at least you know what you’re getting upfront. He can change, gals! Think of it as a challenge. Just start hitting those O’Reilly books on C++, Perl, and maybe some Java, and those socio-pathetic slip-ups will disappear overnight. 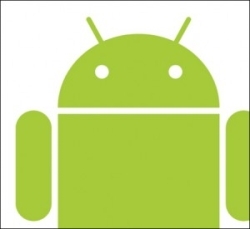 10) And finally, Android, the Android mascot – He’s gone green. Literally. He’s loaded (over 250,000 apps and counting). He likes sweets (éclairs, frozen yogurt, gingerbread, etc.). And, he’s rich—like “let’s go buy a small country” rich. (Just don’t bring him home to your iPad loving family.) Sure he's not in a film, yet. But he could finance one. Close enough for me! So who's your favorite that didn't make the list?